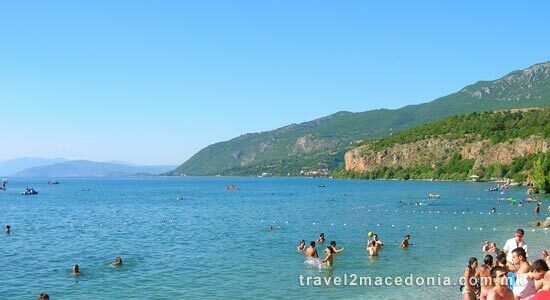 Lake Ohrid lies in the valley between Ohrid and Struga, in the border region between Macedonia and Albania. 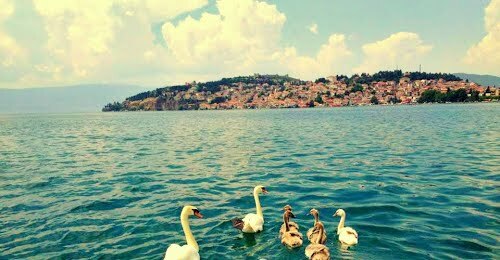 Ohrid lake covers an area of 358.2 square kilometers, two thirds of which belong to the Republic of Macedonia, and the rest to the Republic of Albania. 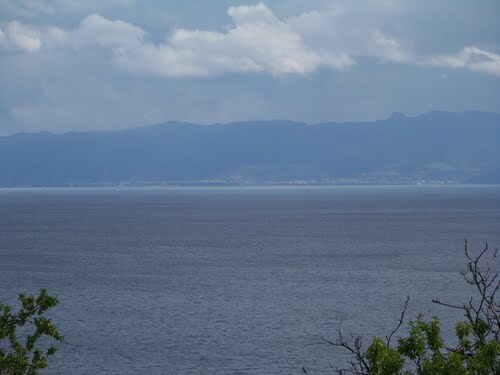 The shoreline is 87.5 kilometers long - the maximum length being 30.8 kilometers, and its maximum of 14.8 kilometers. 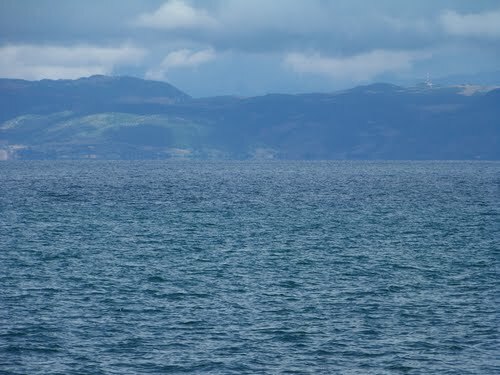 The average depth is 164 meters, and the maximum depth 289 meters. 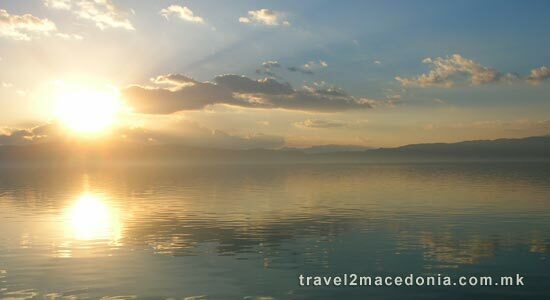 The Ohrid lake is surrounded by mountain ranges of Mount Mokra (Mokra Planina - 1589 m.) and Jablanica (1945 m) on the Albanian side and by the limestone ridge of Mount Galicica (2255m) on the eastern side. 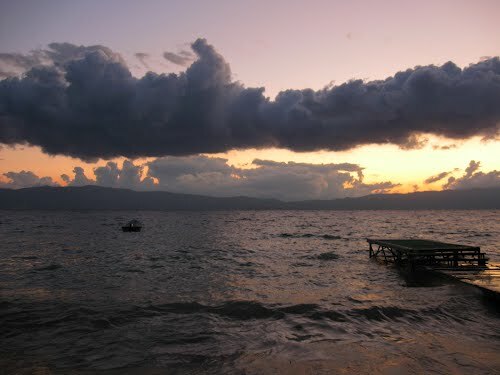 The surrounding mountains are extremely carstic. 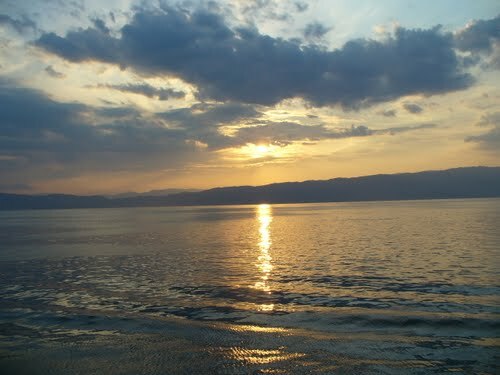 Lake Ohrid is the 7th deepest lake in Europe. 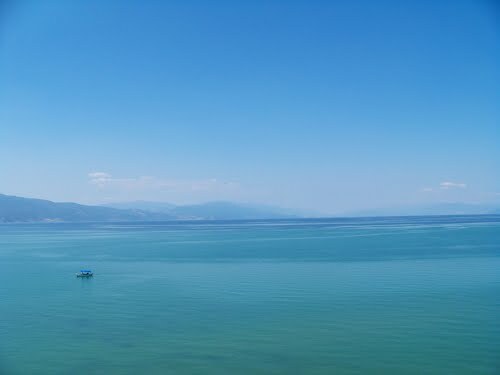 Most of the Ohrid lake water bulk comes from numerous surface and underground springs. 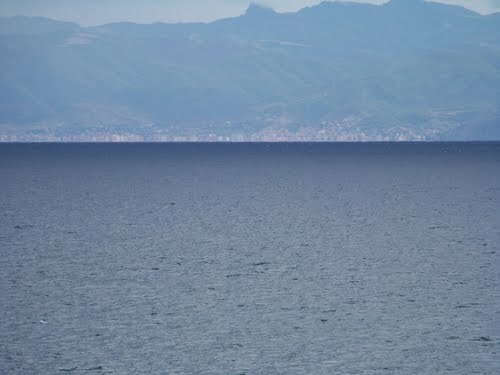 That is the reason certain researchers consider it unique in the world. 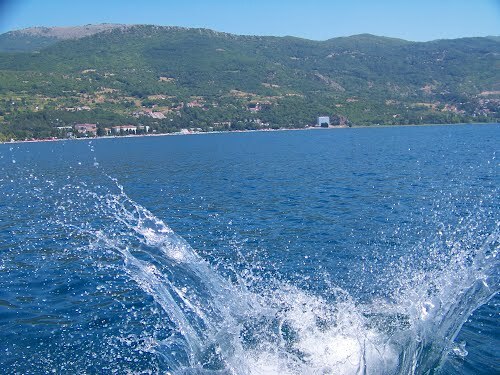 Most of the surface springs lie along the southern shore, near the monastery of Saint Naum on the Macedonian side, and near the villages of Tusemiste and Starovo and the town of Pogradec in Albania. 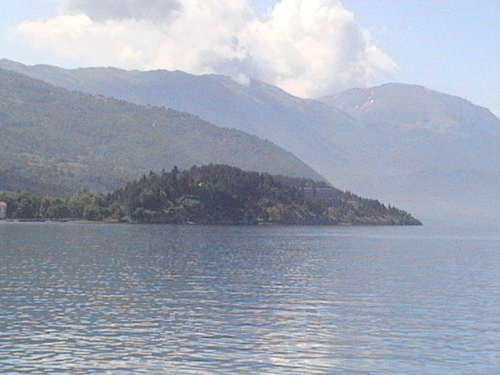 There are about 40 rivers and springs that flow into the Lake (23 on Albanian, and 17 on Macedonian territory). 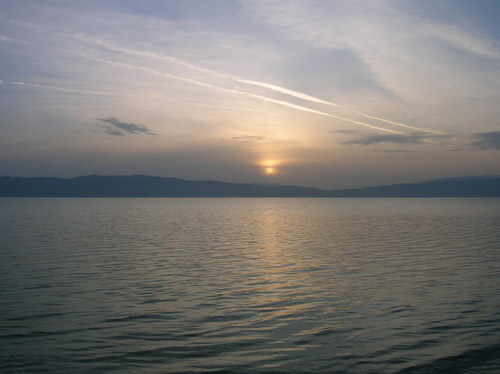 During summer, most of them dry out, whereas the rivers Sateska, Koselska, and Serava are the only waters with significant water flow that feed up the Ohrid lake. 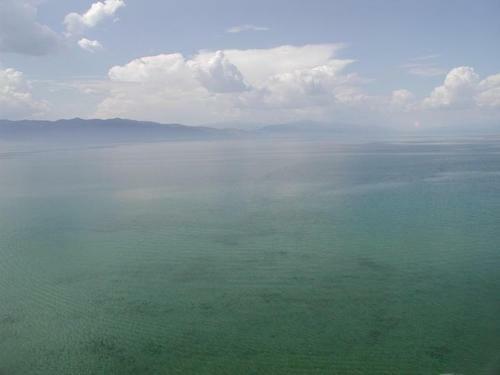 The water temperature in the deepest layers of Ohrid lake is approximately 6 degrees Centigrade, whereas the surface layers may warm up to 24 degrees, and even to 26 degrees closer to the shore. 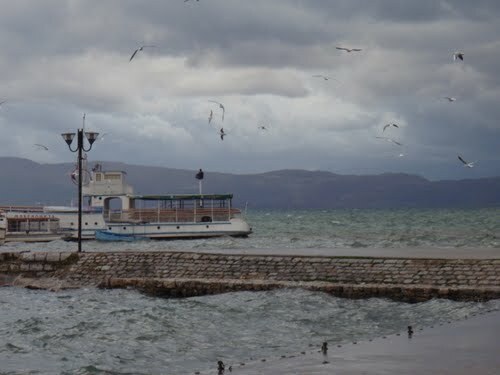 Ohrid lake is the No. 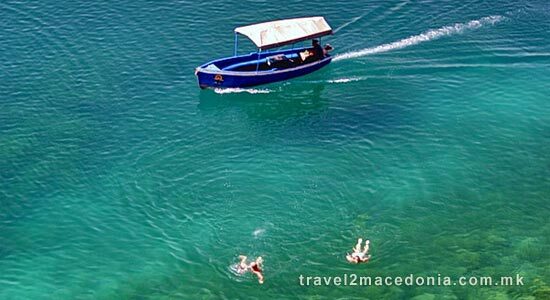 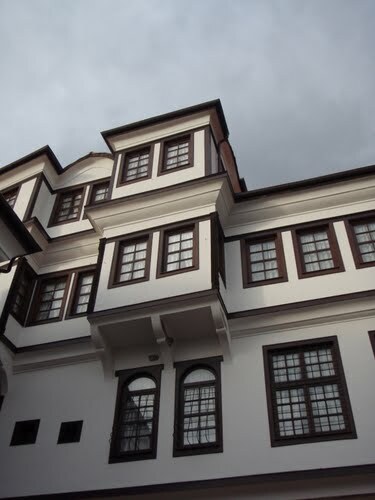 1 tourism destination in Macedonia, making Ohrid & Struga - most visited towns.